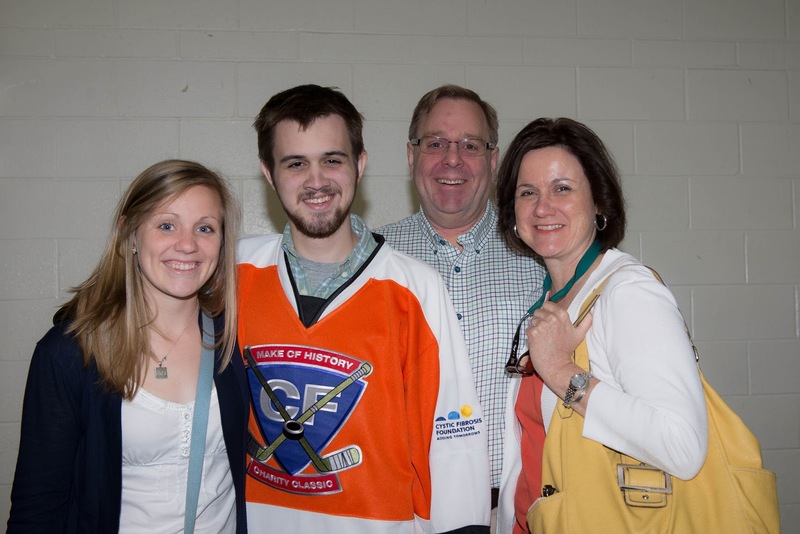 A journey to finding a cure for Cystic Fibrosis and making CF a thing of the past! 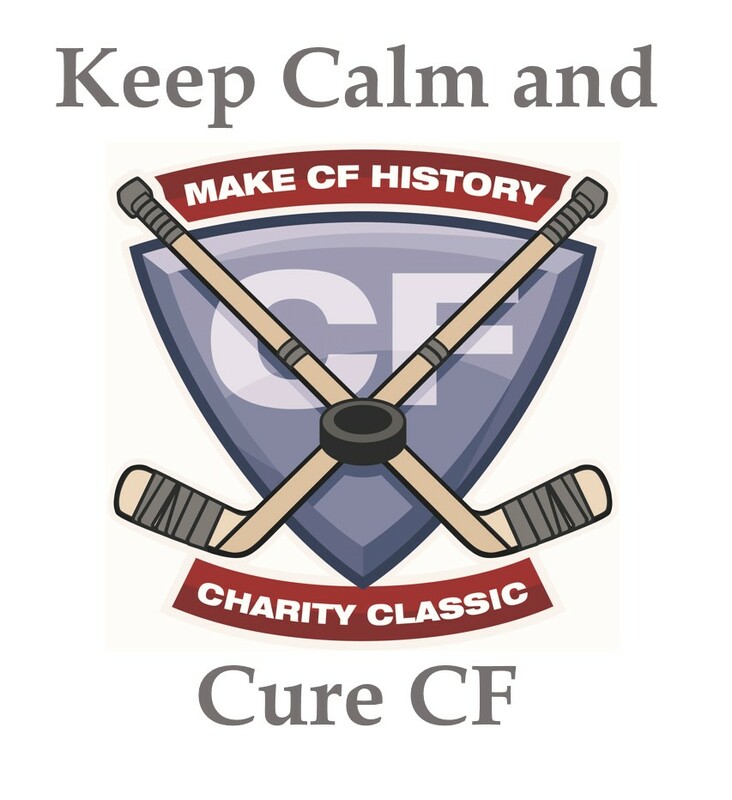 2014 Make CF History Charity Classic will honor "CF Champions"
Each year, the organizing committee of the Make CF History Charity Classic looks for ways to further our purpose in raising awareness (and funds) for the Cystic Fibrosis Foundation. 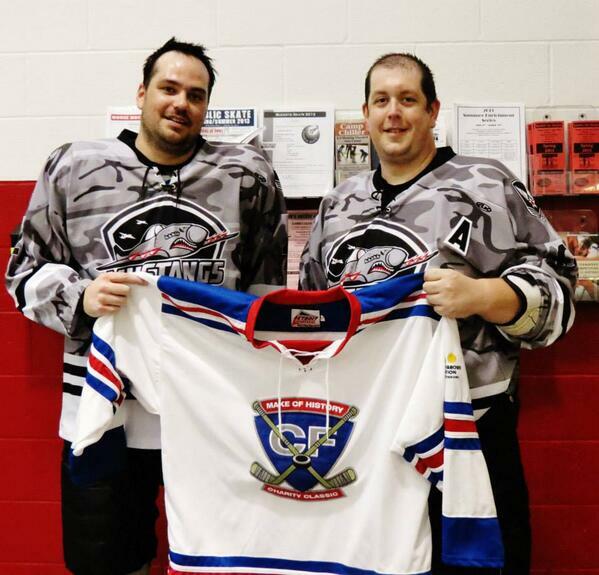 Last year we were inspired by Team Colin, whose Team Captain Steve Lopez entered his team in honor of Colin Mong. Colin is a CF patient and is the son of a colleague of Steve's. Having Colin with us last year, and having a team with his namesake win the tournament, brought to light what our event weekend is truly all about. And with that, inspired by Colin and Team Colin, the 2014 Make CF History Charity Classic will be honoring 14 "CF Champions" throughout the weekend. Each team will be playing for and dedicating their tournament to a CF patient - who we will be referring to as our "CF Champions". 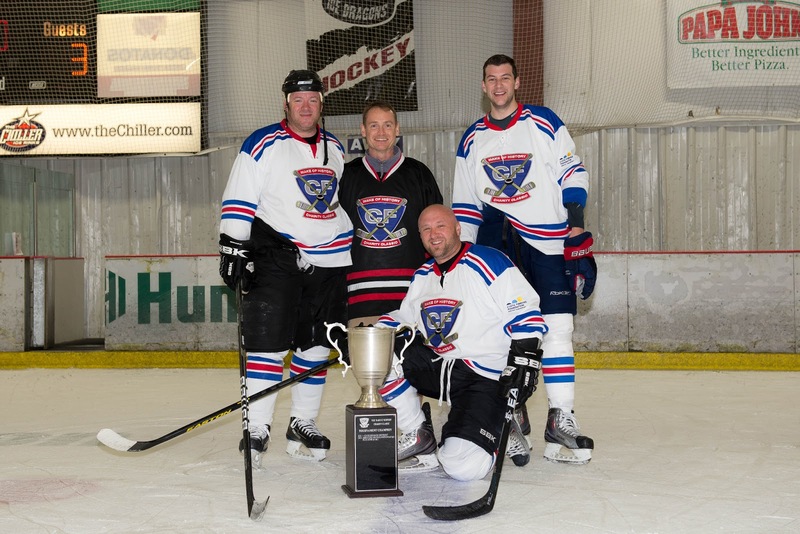 Each "CF Champion" will be a part of the pre-tournament team photos, as well as a ceremonial puck drop on Sunday before the play-out games to end the event. In the weeks leading up to the event, we will be posting spotlight posts on each of our "Champions" so you can get to know them and their story, and see how meaningful it is to have them as an integral part of our event. 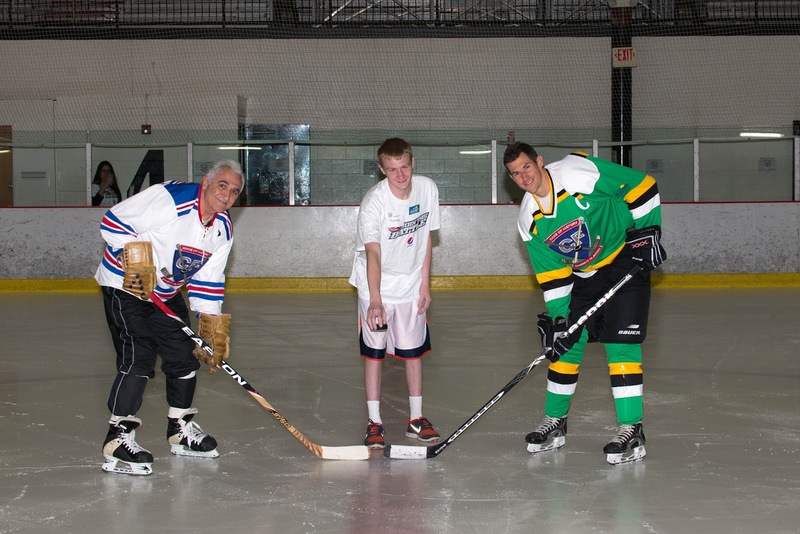 Four years ago, when I sat down at a Tim Hortons with my good friend Chuck Scott to discuss what it would take to create a hockey tournament to benefit the Cystic Fibrosis Foundation, I envisioned 16 teams coming together for a weekend of fun and hockey to raise money and awareness for Cystic Fibrosis. A few cups of coffee and some rough doughnut-napkin math later, the Make CF History Charity Classic was born. 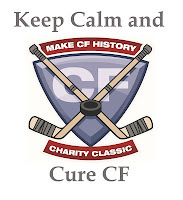 The 2013 Make CF History Charity Classic, our 3rd annual event, was everything I had envisioned that Sunday morning four years ago - 16 teams, coming together for a 3-day tournament weekend, all sharing in the one goal behind the Make CF History campaign: finding a cure for CF. For the first time, we had three full divisions to accommodate three different skill levels - with teams from Dayton, Cleveland, St. Clair, MI, and Columbus filling the divisions. 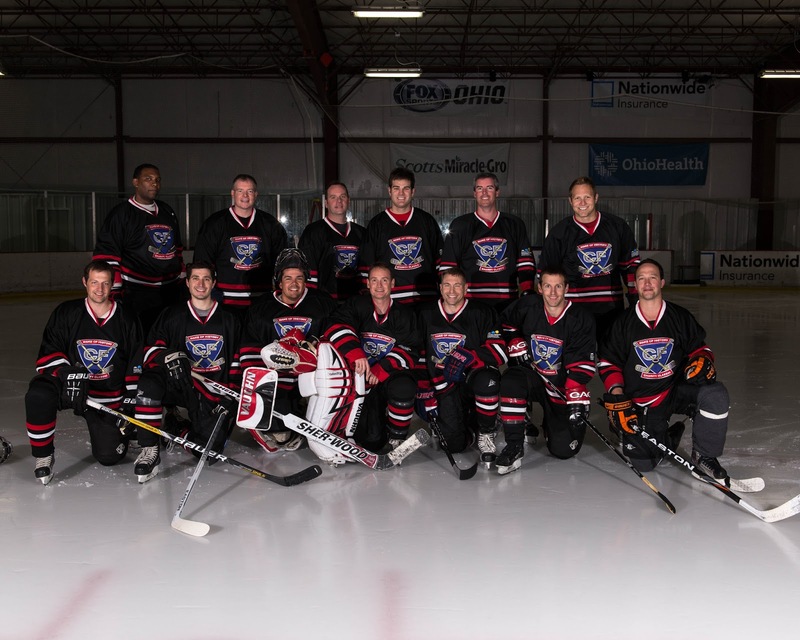 This year we asked the players to fund raise instead of paying a flat team fee in order to participate. And fund raise they did - helping us raise over $51,000 as of the time of this writing, with more money still trickling in. 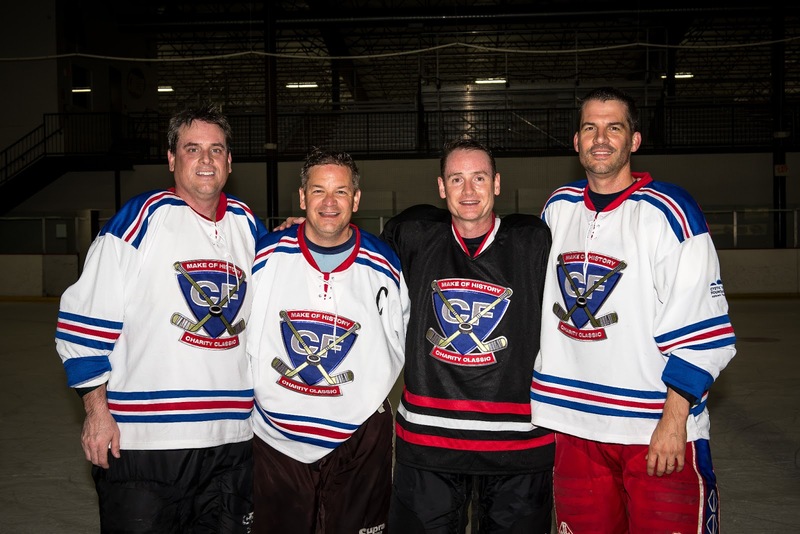 Our top fund raising team was Chuck Scott's Hatrick Swayze (right), who raised an event leading $6,185! Thank you guys! When I think of the weekend from this perspective, it illustrates one very important fact: although we were 16 different teams wearing 16 different jerseys (a formality in order to distinguish two teams from each other during the games), we were really one team - a team consisting of 235 players joined together to participate in the fight to find a cure for Cystic Fibrosis. And for this, I am so very grateful for the players and their time and energy they put into being a part of our 2013 Make CF History Charity Classic. We will always be Team MakeCFHistory. 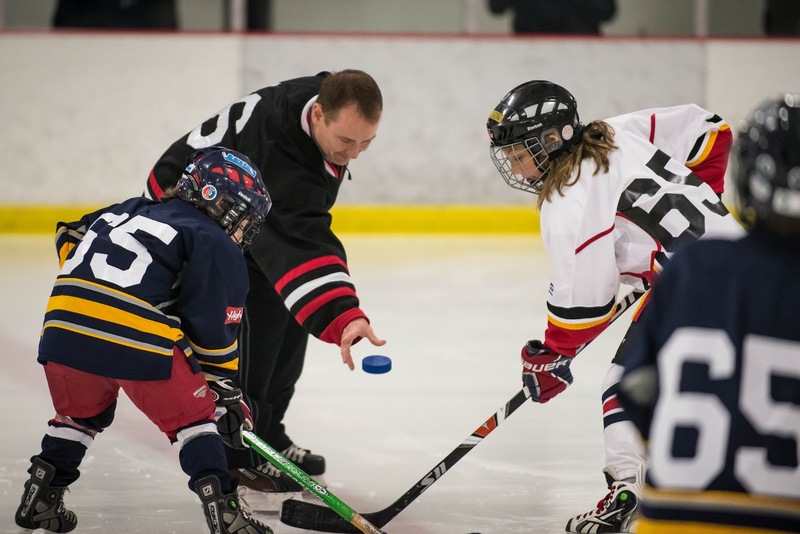 The 'charity classic' always has been, and always will be, about putting the players first. It is about creating an event that provides the players a first-class experience, such that they come back year after year. This includes more than just hockey - it includes free "SWAG" (Stuff We All Get), complimentary food and beverages, game jersey and socks, a Skills Competition and places for the players to hang out together before and after the games. The player's pride and enthusiasm of playing in our event is evidenced in the pictures and comments we see on Facebook and Twitter, whether it be updating their profile pictures of them in action from the weekend, or tweeting pictures (left) and positive comments (below) of their time while at the event. I wish every weekend was @MakeCFHistory classic!! Thank you players for all of your support and participation - without you there is no event, and we hope to see you all again next year! 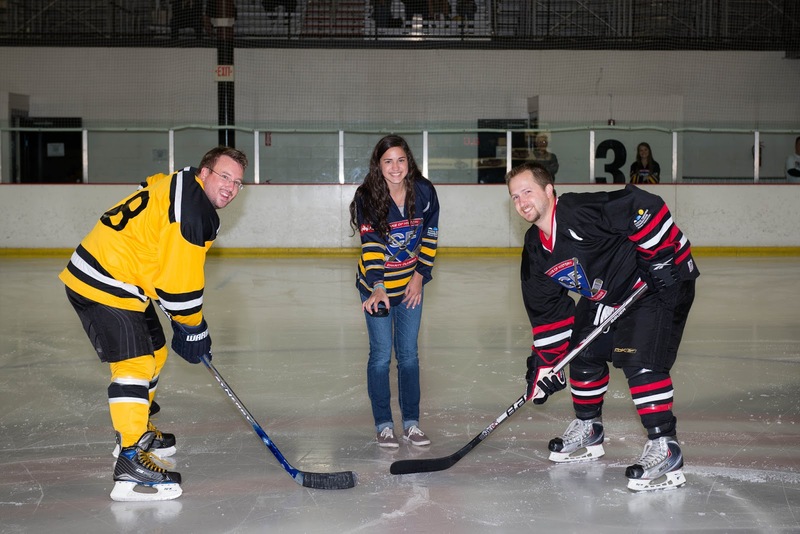 This year, we were blessed to have four very special people with us to drop pucks in our ceremonial opening face-offs to kick off our Friday night games. All four of our "VIP" guests brought to life the purpose of our weekend as they each are living with CF. 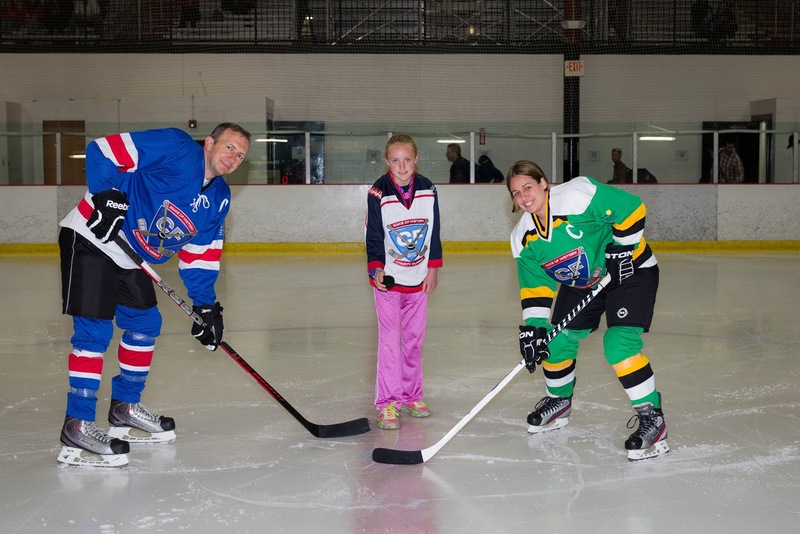 Kate Hennessey (left) kicked off the event by dropping the puck before our first game of the weekend. Kate is the daughter of Marie Hennessey, who is a member of the Board of Director for the CF Foundation of Central Ohio and is the Chair Person of the Fore-Love Golf Outing (taking place September 9, 2013 at Brookside Country Club). Thomas Mims (right), a Sports Journalism student from Kentucky, came all the way up from Lexington to join us. Taylor Monturo (left) joined us with her parents from right here in Columbus. 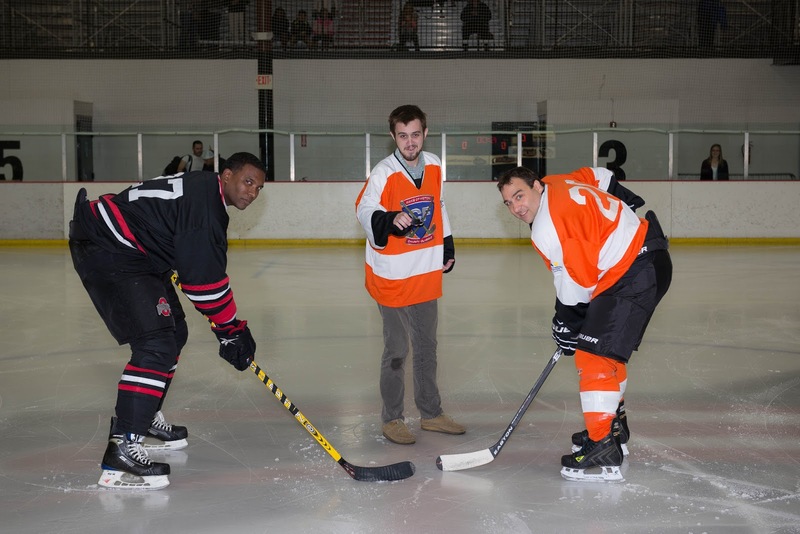 And Colin Mong (right), a CF patient awaiting a double-lung transplant from the Cleveland Clinic, capped off the night by dropping the puck before the opening game of his namesake team, Team Colin, who dedicated their tournament to Colin. Team Colin would end up winning the Experienced Division, which is a fitting outcome for a team who dedicated their weekend to Colin - who we are all now rooting for to "win" in his battle against CF. At one point in the morning on Saturday, I received an email notification of a donation made on my player page from an "Iona Flores". I did not know of anyone by this name, and quickly wrote it off to someone who intended to make a donation to another player and made it to me in error. Later that afternoon, I walked into the lobby of the rink and noticed a lady at the check-in table talking with the staff from the CF Foundation. As I approached them, the lady turned to me and asked, "Are you Chad?" "Yes I am", I replied. "I am Iona Flora", she exclaimed as she reached to shake my hand. "You made a donation on my player page! ", I countered. "Yes, I did. ", she replied. I couldn't help but forgo a handshake to give Iona a big hug. She went on to tell us that she had found us on Facebook, and that she came down from Mansfield to be a part of our event. She also shared that she has two grandchildren living with CF in Texas. 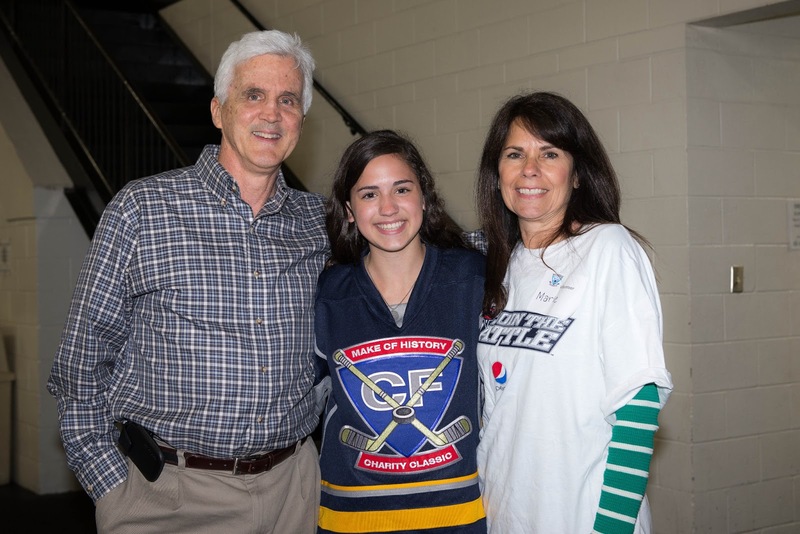 It is moments like these, and people like Iona, who make the Make CF History Charity Classic so special - it brings together people from all over (hockey fans or not) who share in our aspiration to find a cure for CF. And it is moments like these that make me question the 'fact' that CF effects only 30,000 people in the US - when it seems that most everyone I meet and know have a connection to CF. Thank you Iona for being there this weekend, and for making my weekend so special. 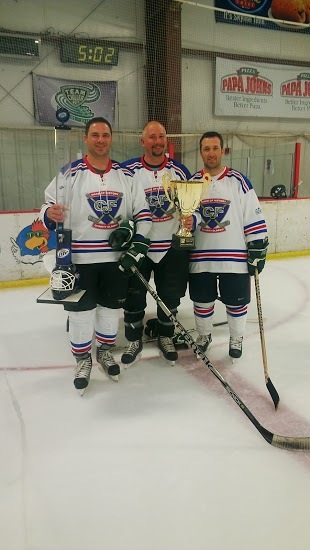 This year we ended the weekend with our 2nd Annual Kid's Charity Game. 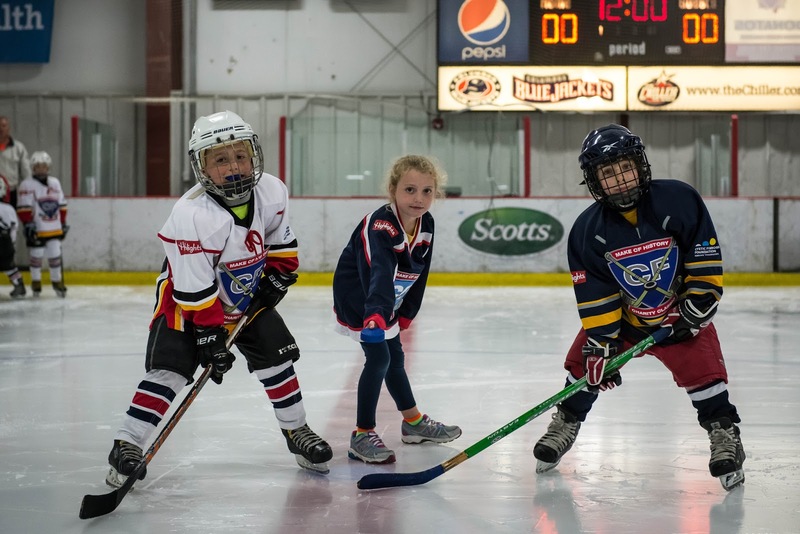 We hosted two teams consisting of Mites and future Squirts who, like the adult players, were asked to fund raise instead of paying a flat fee. And, like the adult players, fund raise they did - raising nearly $2,000! 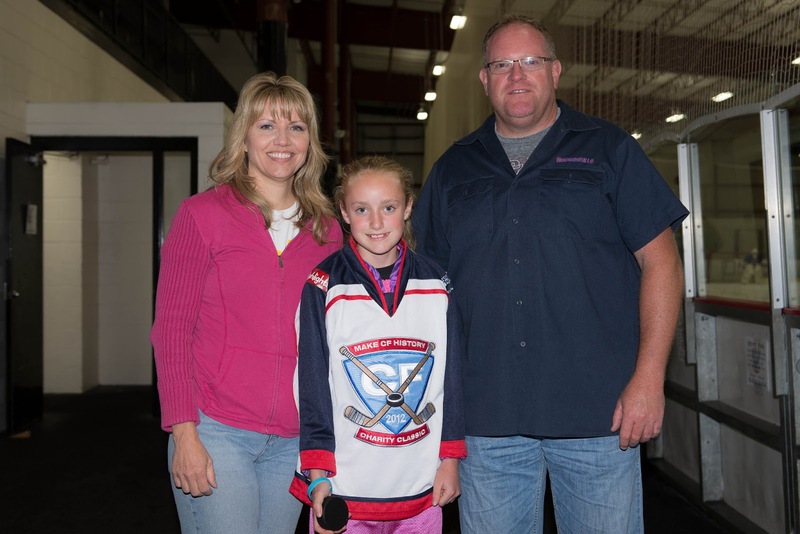 The game was kicked off with a very special ceremonial opening face-off puck drop by CF patient Serena Scilia (below), who's dad Sam also treated the kids and parents to a very heart-felt explanation of Cystic Fibrosis before the game got started. 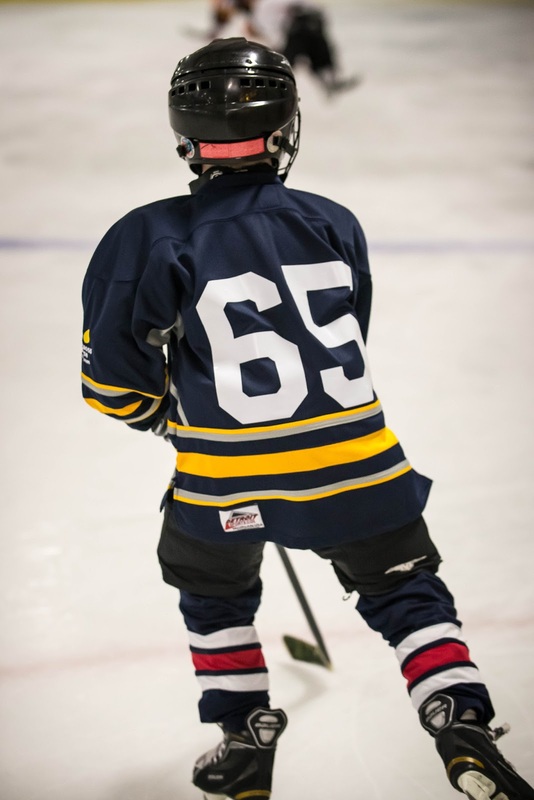 And this year, all of the kids jerseys were numbered with the number "65". Sam eloquently explained the significance of the number "65" to the kids and parents - which is of course symbolic of "65 Roses", what most kids often call cystic fibrosis because "65 roses" is easier to pronounce. Thank you to all of the parents and kids who participated in this very special aspect of the weekend. And, a very special thank you to Sam Scilia and his daughter Serena for making the event that much more special. The best part of organizing an event like the Make CF History Charity Classic is getting to see my friends and family, who come from near and far to be there. With that, I also get to meet so many incredible people who by the end of the weekend are my new found "family". 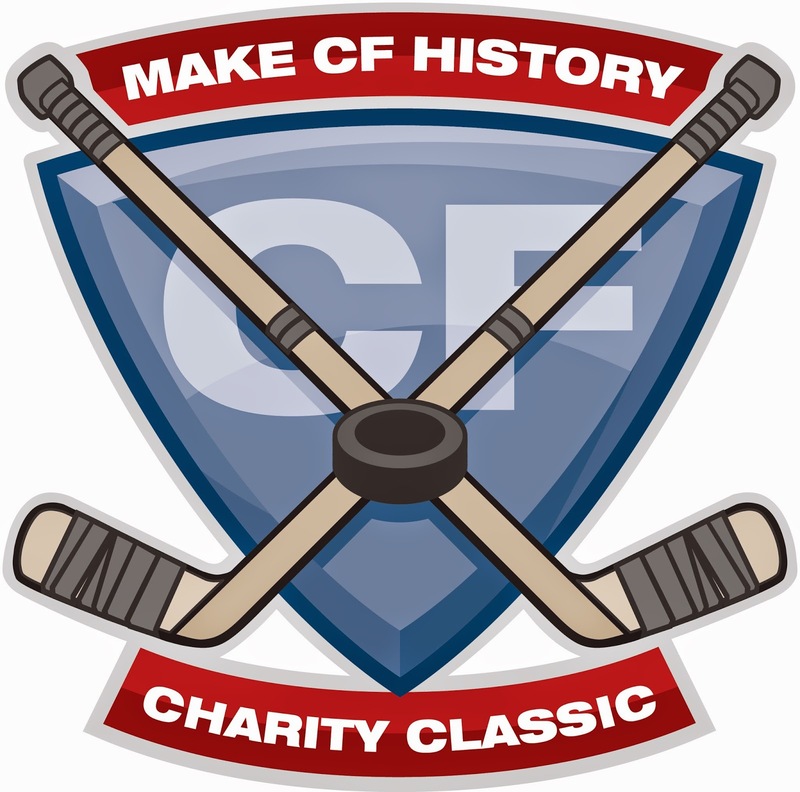 To our incredible Organizing Committee, all of the volunteers, the players, our sponsors, and to the staff of the Chiller Ice Rink - I wish I could one-by-one shake everyone's hand, give you all a hug, and thank you for making this year's 'charity classic' so special - and for joining Team MakeCFHistory. We will be the generation that finds the cure for CF. THANK YOU to everyone who supported the 2013 Make CF History Charity Classic!